In the second issue of IDW's new series we get Mickey Mouse & Goofy in The Secret of Gold City. The story takes place in modern time but with Mickey & Goofy continuing the adventure of their ancestors Mickey the Kid and Six-Shot Goofy. The story is actually a sequel to and with direct references to the Italian story Topolino Kid contro "Jack la vaporiera". To my knowledge the original story is not available in English anywhere, and the second issue of Walt Disney Showcase would have been a lot more interesting if it were – but I do have a Norwegian translation of the story in Donald Pocket #68. 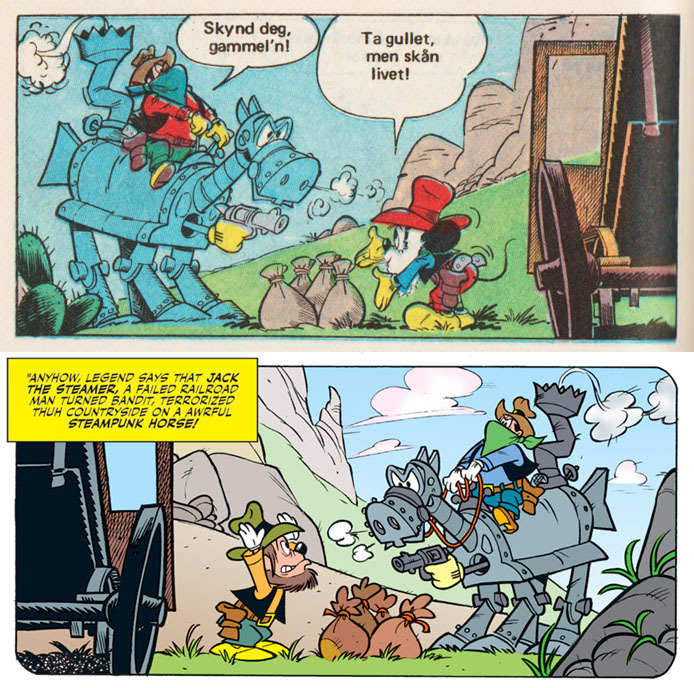 The flashback panels in The Secret of Gold City are directly copied from scenes in this story. 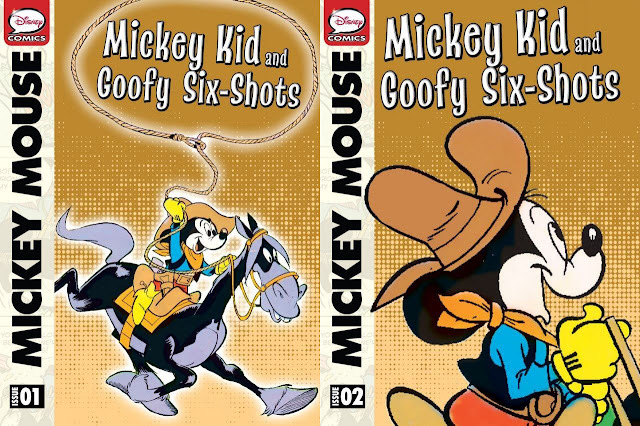 But these two are not the only stories with Mickey the Kid and Six-Shot Goofy created. In fact, there is a whole series with these stories, and the origin story where they meet up is available in English too. In addition to the Mickey and Goofy meetup, we also see how they met Susanna, a recurring character in the series and seen in the photograph in The Secret of Gold City. We also get the Oh, Susanna song for the first time, which must have been passed down in generations as modern time Goofy also knows it! 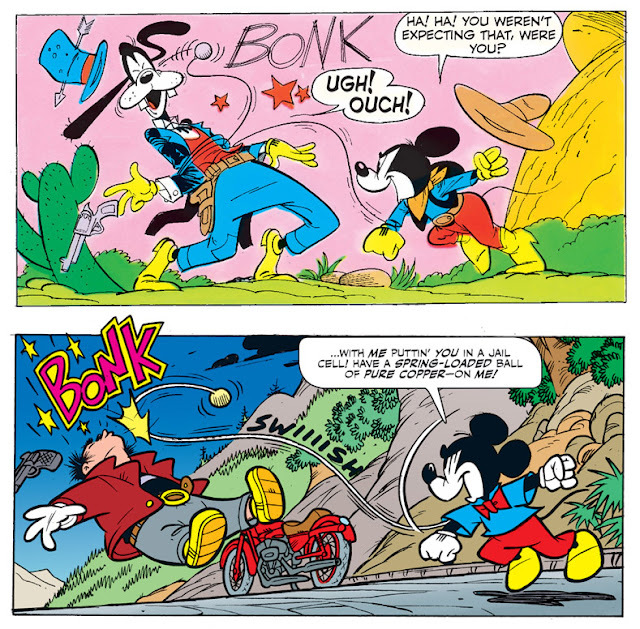 And we get to see Mickey the Kid's signature attack move used for the first time, re-used by Mickey Mouse in The Secret of Gold City. 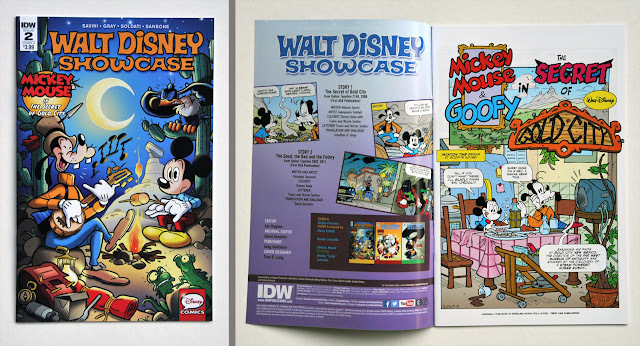 To get the most out of the new Showcase issue I recommend getting the two digital comics too, just to read the backstory of Mickey and Goofy's wild west ancestors. 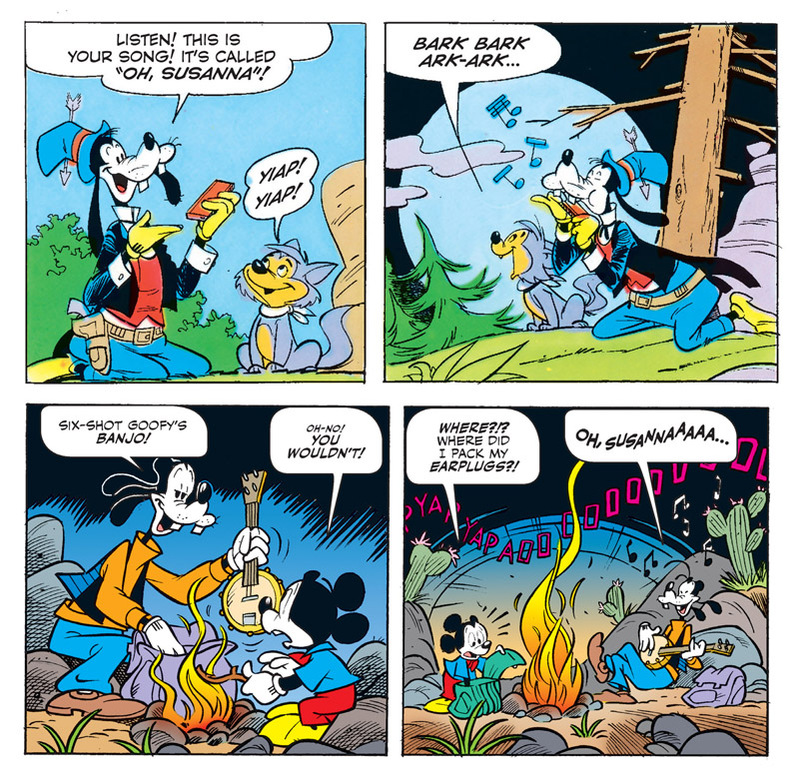 And as I already said, the story would be a lot more interesting if read together with Topolino Kid contro "Jack la vaporiera"! Are you going to review the new Disney Masters series from Fantagraphics? Probably, I already have some ideas of things to write about the books/series even if I haven't got the first book yet. I like getting the box sets if available for series like this. But the "Disney Masters Collector's Box Set" that I'm planning to get won't be on sale until October. 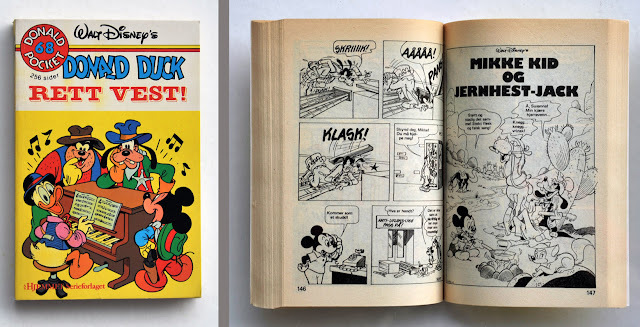 That is they actaully are going to be relesed... Fantagraphics have removed the box sets from their webpage when I write this - and the images (but not the listing) is removed from the Amazon pages too. I was not aware of their removal, but I do see this now. Their colored Mickey Mouse compilation which was to be released in September is also missing at their site. One could hope they perhaps have unlisted the box sets in order to sell more single volumes before they launch the bundled sets, but this would not explain the Mickey situation. Time will tell.